[WATCH] Marvel Legends Avengers Series 6-inch Taskmaster Review – AiPT! The best Taskmaster there’s ever been. That’s not a high bar to clear. 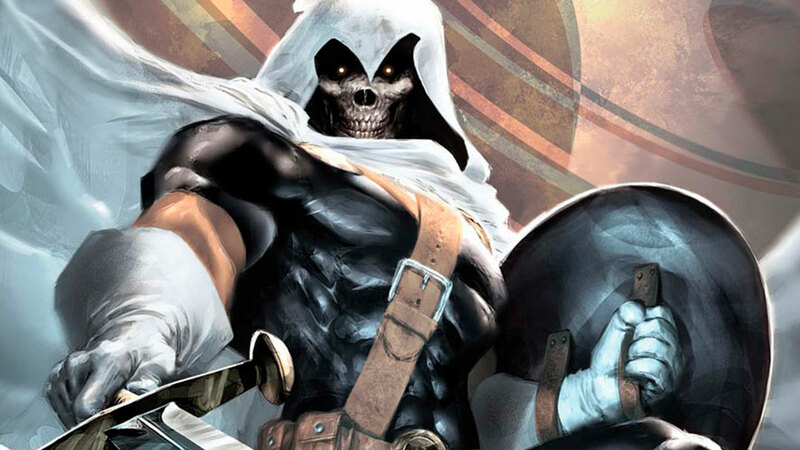 Taskmaster is one of my favorite characters. He’s just a regular Joe with an amazing superpower, but guys with amazing superpowers routinely get hit in the face. So what does he do? He uses his “photographic reflexes” to train OTHER guys to get hit in the face. And his costume is just so off-message and wild. Sadly, that’s never really been captured well in action figure form. Until now? Taskmaster caps off my henchmen collection, but man, I can’t help but think it could have ended up a little bit better. It's good, but not great. Sadly, we'll just have to accept that, as there will probably never be another. Something's wrong with the face. What is it?